A parcel was sent to our office for you and we have tried to deliver it several times to your address on file. Attached is the receipt used in sending you the parcel. We advise you to download and reconfirm the address on receipt if its your valid address. This .zip file contains a malicious executable invoice.com (a .com file.. that really is old school) which has a VirusTotal detection rate of 29/54. The Malwr report shows an attempted connection to klempfrost.zapto.org on 199.21.79.114 (Internap, US). Other automated analysis tools are less conclusive  . For mode details and shipping label please see the attached file. The attachment is Label_442493822628.zip which in turn contains a malicious executable Label_11052013.exe which has a VirusTotal detection rate of 6/46. Automated analysis   shows an attempted connection to sellmakers.com on 192.64.115.140 (Namecheap, US). Note that there may be legitimate sites on that IP address, however it is possible that the whole server has been compromised. Our company's courier couldn't make the delivery of package. There is an attachment Label_ZFRLOADD5PGGZ0Z_USPS.zip which contains a malicious executable Label_101513_USPS.exe (note the date encoded into the filename). VirusTotal shows just 4/46 vendors detect it at present. Automated analysis    shows an attempted communication with traderstruthrevealed.com on 103.8.27.82 (SKSA Technology, Malaysia). There is also another email using this format with the same payload. Please open the attached document. It was scanned and sent to you using a Xerox WorkCentre Pro. Attached file is scanned image in PDF format. We attempted to deliver your item at 6 Jun 2013. Courier service could not make the delivery of your parcel. Status Deny / Invalid ZIP Code. If the package is not scheduled for redelivery or picked up within 48 hours, it will be returned to the sender. 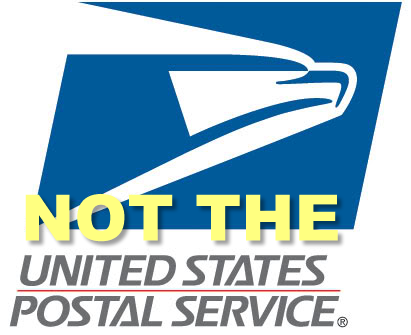 © 2013 Copyright© 2013 USPS. All Rights Reserved. There is an attachment called USPS_Label_861337597092.zip which in turn contains a malicious executable file USPS_Label_06062013.exe (note the date is encoded into the filename). VirusTotal results for this are 18/47. Our company’s courier couldn’t make the delivery of package. If the parcel isn’t received within 30 working days our company will have the right to claim compensation from you for it’s keeping in the amount of $8.26 for each day of keeping of it. There is an attachment LABEL-ID-56723547-GFK72.zip which in turn contains an executable file LABEL-ID-56723547-GFK72.exe which is designed to look like a PDF file. VirusTotal results are a pretty poor 7/46. Comodo CAMAS reports some very unusual behaviour around LDAP registry keys, not present in the Anubis report or ThreatExpert report. Update: a rather more comprehensive ThreatTrack report can be found here [pdf]. This fake UPS (or is it USPS?) spam leads to malware on himalayaori.ru. The malicious link is in an attachment called ATT17235668.htm. Your USPS TEAM for big savings! Can't see images? CLICK HERE. UPS UPS SUPPORT 56 Not Ready to Open an Account? The UPS Store® can help with full service packing and shipping.Learn More >> UPS - Your UPS Team Good day, [redacted]. Clicking on the attachment sends the intended victim to a malicious web page at [donotclick]himalayaori.ru:8080/forum/links/column.php (report here), in this case via a legitimate hacked site at [donotlick]www.unisgolf.ch/report.htm but that is less important. This fake USPS spam contains malware in an attachment called USPS delivery failure report.zip. The attachment is double-zipped, presumably to try to evade virus and content scanners. Opening it extracts another ZIP file called USPS report id 943577924988734.zip which contains another file called USPS report id 943577924988734.exe. The VirusTotal detections for this are patchy and fairly generic. Automated analysis tools are pretty inconclusive when it comes to the payload, although if you are trying to clean it up then starting with HKLM\Software\Microsoft\Windows\CurrentVersion\Run\SunJavaUpdateSched (which is set to "C:\Documents and Settings\All Users\svchost.exe") is probably a good start. With best regards , UPS Customer Services. Copyright 2011 United Parcel Service of America, Inc. Your USPS .us Customer Services, the Your USPS Team brandmark, and the color brown are trademarks of United Parcel Service of America, Inc. All rights reserved. Please do not reply directly to this e-mail. USPS .us Customer Services will not receive any reply message. For questions or comments, visit Contact UPS. USPS Customer Services for big savings! Can't see images? CLICK HERE. Enjoy all UPS has to offer by linking your My UPS profile to your account. With Respect To You , Your UPS .com Customer Services. 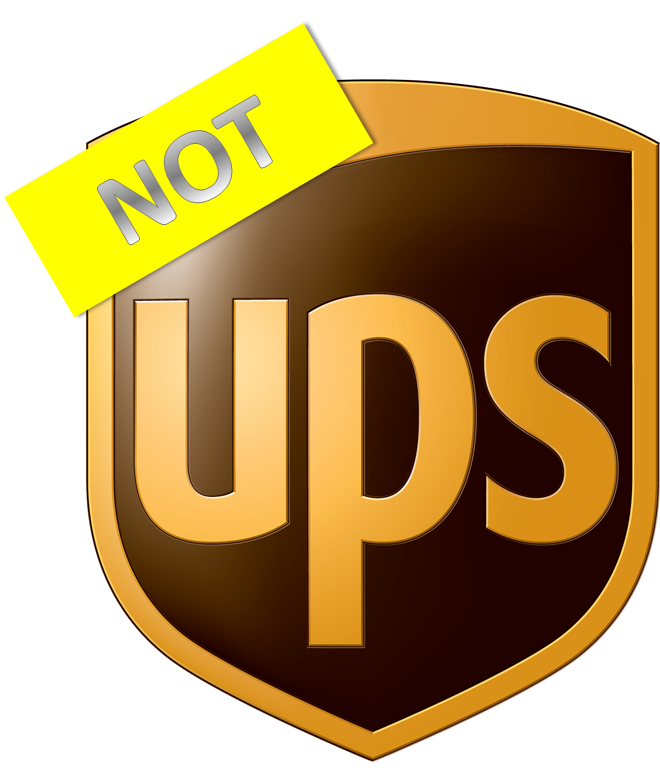 trademarks of United Parcel Service of America, Inc. All rights reserved. Subject: Your USPS shipment postage labels receipt. If you need further information, please log on to www.usps.com/clicknship and go to your Shipping History or visit our Frequently Asked Questions . You can refund your unused postage labels up to 14 days after the issue date by logging on to your Click-N-Ship Account. Click-N-Ship has just made on line shipping with the USPS even better. New Enhanced International Label and Customs Form: Updated Look and Easy to Use! The malicious payload is an exploit kit at computerpills.net/main.php?page=beb0bb4c8ebd96e5 hosted on 37.59.68.23 (OVH, UK) which is the same server used in this attack, the payload looks to be the same as the one used in this other attack, with a very low detection rate at VirusTotal of just 3/42. And there's yet another USPS spam doing the rounds, this time the malicious payload is on 174.140.163.119 (Directspace US, report here). Block access to that IP if you can. Yet another USPS spam is doing the rounds, this time leading to a malicious payload on 50.116.19.155. The malicious payload is on 50.116.19.155/data/ap2.php?f=4203d and 50.116.19.155/showthread.php?t=73a07bcb51f4be71 (report here) hosted by Linode. Currently there is an email attack running similar to this one earlier today, but in this case the malware is on 50.56.208.113:8080/showthread.php?t=73a07bcb51f4be7 (report here), hosted on Slicehost in the US. Another Slicehost IP to block! For further information, please log on to www.usps.com/clicknship and go to your Shipping History or visit our Frequently Asked Questions . The malware is on clearschooner.com/showthread.php?t=73a07bcb51f4be71 (report here), hosted on 50.116.50.82 (Linode, US). Blocking the IP will prevent other malcious sites on the same IP from being a problem. This link goes to malware via baumanmarketing.com (195.78.33.120, Croatia.. most likely a hacked legitimate site) the it goes to billdirect.jiffyinc.com (184.106.64.60, Slicehost UK) until it hits a malware page on 184.82.202.46 (HOSTNOC, US). Originating IP is 111.242.113.138 (HINET, Taiwan). A Wepawet report is available here. Subject: USPS postage labels order confirmation. Refunds for unused postage-paid labels can be requested online up to 14 days after the issue date by logging on to your Click-N-Ship Account. Subject: USPS postage labels invoice. If you need further assistance, please log on to www.usps.com/clicknship and go to your Shipping History or visit our Frequently Asked Questions . Refunds for unused postage-paid labels can be requested online up to 7 days after the print date by logging on to your Click-N-Ship Account. The malicious payload is on indigocellular.com/showthread.php?t=73a07bcb51f4be71 hosted on 209.59.218.102 (Endurance International, US). Blocking the IP will prevent other malware on the IP from being a threat. You can see a Wepawet report for the malware here. Blocking access to that IP address might be prudent. This UPS (or is it USPS?) spam is attempting to direct visitors to a malicious web page at doofyonmycolg.ru/main.php. This looks like a variant of the Redret campaign we have seen recently. Your USPS .US for big savings! Can't see images? CLICK HERE. The UPS Store® can help with full service packing and shipping. With best regards , Your UPS Services. doofyonmycolg.ru is hosted on 66.225.237.223. There is another malicious site on 66.225.237.222, there may be others. This IP is allocated to HostForWeb Inc, Chicago. Blocking the IP rather than the domain may help protect against other malicious sites on the same server.